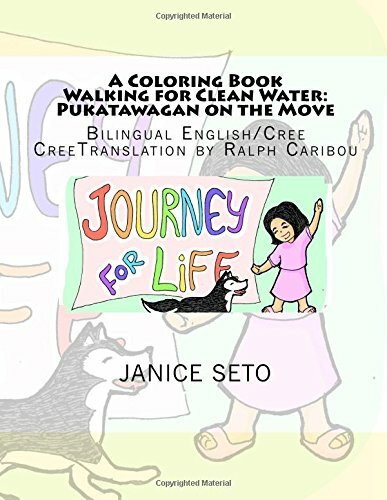 Book Launch of Colouring book: Walking for Clean Water in Sakastew School, Feb 13, 2018 in Pukatawagan! Learn Cree and colour in the details of the Coloring Book version of Walking for Clean Water, available on Amazon at the link below. Book Launch of Colouring book: Walking for Clean Water in Sakastew School, Feb 13, 2018 in Pukatawagan!